All states have set deadlines for when a patient may file a civil claim, known as statutes of limitation, for medical liability and malpractice claims. 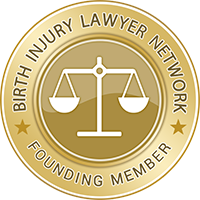 The majority of the states have special provisions regarding the time limits for minors to file medical liability and malpractice claims. Twenty-two states have special provisions regarding foreign objects. Or. Rev. Stat. §12.110 and §12.160 Two years from injury or reasonable discovery, but within five years from the date of the treatment, omission or operation upon which the action is based or, if there has been no action commenced within five years because of fraud, deceit or misleading representation, then within two years from the date such fraud, deceit or misleading representation is discovered or in the exercise of reasonable care should have been discovered. Minors under age 18: until majority. The time for commencing an action may not be extended for more than five years, or for more than one year after the person attains 18 years of age, whichever occurs first. No limitations. Limits on noneconomic damages (§31.710) declared unconstitutional by State Supreme Court (see Lakin v. Senco Products, Inc., 329 Or. 62, 987 P.2d 463 (Or. 1999)). §31.740. Punitive damages may not be awarded against a health practitioner, as defined, if the health practitioner was engaged in conduct regulated by the license, registration or certificate issued by the appropriate governing body and was acting within the scope of practice for which the license, registration or certificate was issued and without malice. §31.735. In no event may more than 20 percent of the amount awarded as punitive damages be paid to the attorney for the prevailing party.